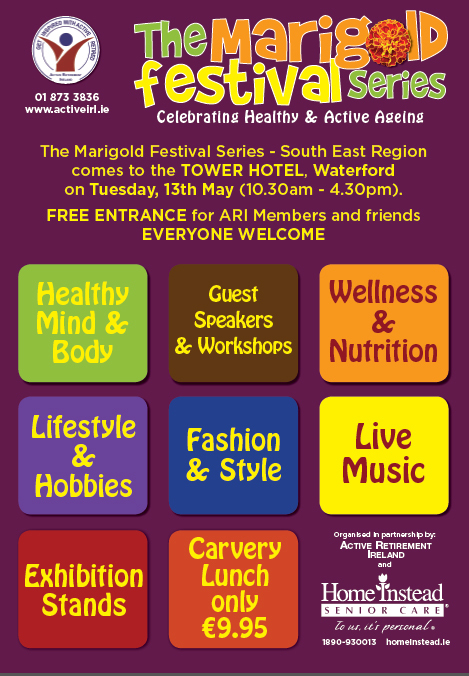 Waterford will host the first annual Marigold Festival on Tuesday, May 13th in the Tower Hotel. The event is free of charge and will share the latest insights on how to live a healthy and active life and to maintain that lifestyle well into retirement. Author and former governor of Mountjoy Prison, John Lonergan will be the guest of honour and will be on hand to speak about what active retirement means to him. He said, “Sometimes for those of us approaching our older years, we may slow down and become less active. The Marigold Festival is a reminder that life is for living and that we can continue to live a fun, full and active life no matter our age. It’s an opportunity for the local community to come together and help each other to live life to the full whether we are 30, 60 or 80 years of age”. Other interesting guests include Dr Sabina Brennan of Trinity College Dublin who will talk about the importance of maintaining a healthy and active mind. A carvery lunch is available, along with health screenings, line dancing, music as well as a full-programme of inspiring and informative talks. The event runs from 10.30am to 4.30pm. The festival has been brought to Waterford by Active Retirement Ireland in conjunction with Home Instead Senior Care. Both organisations are committed to living a happy, healthy and independent life and have come together to bring a positive, fun-filled day of activities to the local community. “At Home Instead Senior Care, we believe in living life to the full. The Marigold Festival is for people who are young at heart and believe life is for living. Attendees will avail of valuable information while also partaking in fun activities. It’s an event not to be missed”, says Danette Connolly, Director of Care, Home Instead Senior Care. Margaret Bennett Moore, Chairperson of the South East Region of Active Retirement Ireland said: “Waterford has a vibrant community of people 60+ and there is no better place to launch this very special festival. It’s a celebration of life and we are sure it will be a successful day filled with laughter and learning”. The Marigold Festival is a celebration of life with attendees of all ages enjoying a fun day out, showcasing the fact that a full active life is not reserved for the young. 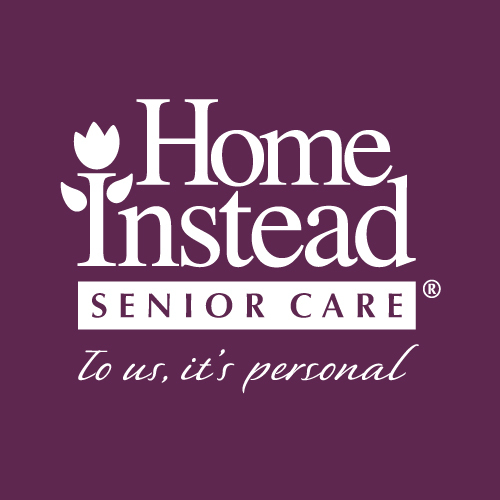 For more information please call, Home Instead Senior Care on (051) 333 966. ← Which every day vegetable can help prevent arthritis?